Bob Dylan scandalized Toronto folk music purists in 1965 when, during his first Massey Hall appearance, the acoustic hero performed an electric set. Sitting that night in the balcony, a young Charles Cutts couldn’t have predicted that, five decades later, he would spearhead a plan to expand and revitalize the grande dame of Toronto music halls. Massey Hall is on the cusp of a significant renewal plan that will allow, for the first time in its 120 years, the addition of basic back-of-house amenities such as elevators and a loading dock, and to improve its dressing rooms, washrooms, catering facilities, office spaces and patron amenities. The project likely wouldn’t happen if it weren’t for the gift of a 450-square-metre piece of property located directly south of Massey Hall. 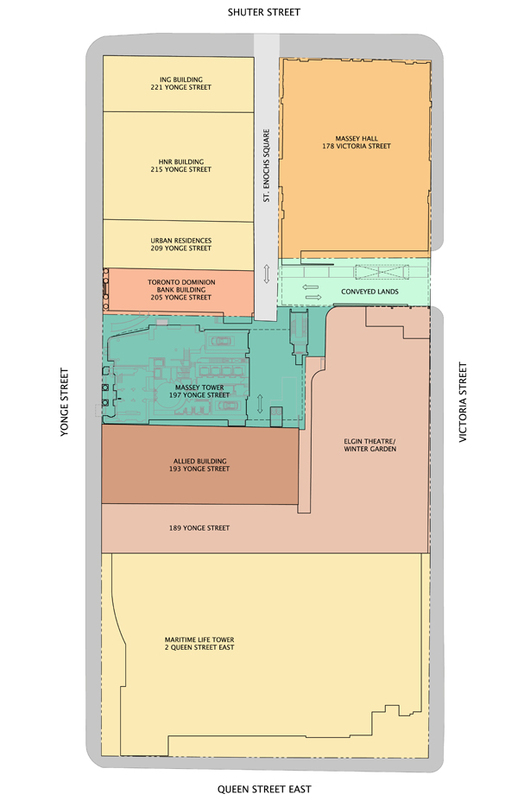 This gritty urban plot, currently a surface parking lot and garbage storage area, is being offered by MOD Developments Inc. which intends to build a 60-storey condominium in the same downtown Toronto city block. “It’s a matter of being competitive with other venues, we need to keep pace,” says Mr. Cutts, president and chief executive officer of Corp. of Massey Hall and Roy Thomson Hall. “This gift of land is so valuable to us because we’re street-bound on the other three sides.” Mr. Cutts adds that Hart Massey had intended to purchase adjacent land for his concert hall, “but he couldn’t reach what he thought was a fair price. So he built the hall the way it is and acquired the Albert Building beside it.” The only direction for the landlocked venue to grow is directly south where the four-storey Albert Building now sits and where MOD owns a tract that stretches from Victoria Street over to a prime spot on Yonge Street. MOD purchased the land – occupied by a derelict 1905 bank building and a parkette – from Parasuco Jeans Inc. of Montreal in January of 2012. MOD will restore the heritage building and construct a soaring condo above it. Branded as the Massey Tower, marketing for the upscale project plays on the significant musical heritage of its famous neighbour. Block plan, courtesy of MOD Developments Inc.
Gary Switzer, CEO of MOD Developments, says the portion of the land he’s ceding to Massey Hall (the “Conveyed Lands” shown in the image above) has been appraised at about $6.5-million, however the not-for-profit organization won’t incur any costs associated with accepting the gift.Phase 1 of Massey Hall’s revitalization project is scheduled to start this summer with the demolition of the 1894 Albert Building. Work can then begin on a new two-level basement that will contain mechanical and electrical infrastructure, technical and production facilities, a loading dock, fire stairs, elevators, washrooms, a lobby and a new Victoria Street entrance. MOD will, at the same time, dig the basement for its condo tower. The cost of the basement-foundation work is $35-million, according to Mr. Cutts. The federal and Ontario governments are pitching in $8-million each and the rest will come through fundraising, he says. Once the basements are completed, MOD will continue to build its condo tower over a four-year period. Massey Hall will work on the restoration and rehabilitation of its Moorish Revival-style auditorium where crumbling plaster ceilings are being held in place with chicken wire. The original 1894 wooden seats (some as narrow as 19 inches) and 1948 upholstered seats will be replaced and sight lines improved. Massey Hall may also uncover 57 original art nouveau-style stained glass windows, which were boarded up about a century ago to block out daylight and street noise. Outside, the building’s exterior fire escapes will be removed and the masonry restored. Next would be construction of an annex of up to six storeys that will provide enhanced, accessible patron amenities including lobbies, a bar and hospitality spaces. The entire revitalization project is expected to last about seven years. As Massey Hall embarks on this update, Mr. Cutts and his team are keenly aware that they can’t mess with the venue’s magical qualities including the intimacy between artist and audience and the excellent acoustics. It’s also a key reason why artists love performing there, says Jeff Craib, president of The Feldman Agency, which represents a diverse roster ranging from Diana Krall to The Tragically Hip. “It’s got the sort of aura that a Radio City or a Carnegie Hall would have. People tend to overlook what some would perceive as the blemishes… that the seats are old and it’s kind of funky in there. But that’s part of the aura of playing in a place with history,” Mr. Craib says. 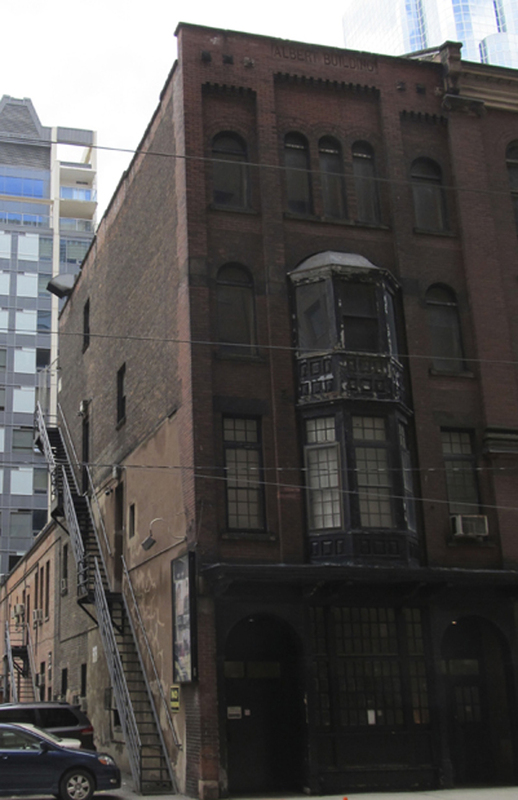 As MOD’s condo proposal heads toward the finish line – Toronto city council votes on it mid-July – Massey Hall will likely take ownership of the small strip of land by late summer or early fall, Mr. Switzer says. • Massey Hall was built in 1894 by industrial baron Hart Massey in memory of his eldest son, Charles Albert. • The three-storey, red-brick structure was designed by architect Sidney Rose Badgley and is a rare surviving example of a concert hall with classical features associated with the early 19th-century Palladian style. • Massey Hall was home to the Toronto Symphony and the Toronto Mendelsson Choir, and has played host to the likes of George Gershwin, Oscar Peterson, Glenn Gould, the Dalai Lama and Gordon Lightfoot. This article was published on July 2, 2013 in the Globe and Mail’s Report on Business (Commercial Property report).